Donna has been a marketing expert, industry leader, and thought partner to clients for over 30 years. For her, it’s always been and always will be about the client. This focus drives our ongoing evolution as new marketing channels, data, and technology are creating new opportunities for our clients. Her vision extends beyond sales towards full strategic engagement with our clients’ businesses across channels. With a uniquely collaborative philosophy towards acquisition and retention, her team of experts delivers unparalleled results. When Donna’s not racking up massive frequent flier miles with all her client meetings you can find her hiking with her family or on the ski slopes of Vermont. Polly has more than 20 years of experience working at and with the best retail brands in the industry, across apparel, home, food/gift, and the children's market. 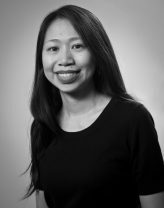 She joined Belardi Wong more than 10 years ago to help transform the company into a full-service marketing firm, and her experience includes business strategy across all channels for large omni-channel retailers, online retailers, emerging brands, and catalogers. Today, with an inside view to more than 200 retailers, Polly is committed to providing industry-leading insights and trends across channels and categories, with an emphasis on leveraging data and technology to push retail forward. A very busy working mom, when she has a free minute she loves nothing more than a glass of wine over a game of Boggle with her kids. New customer acquisition has been at the core of our company for 20 years, and Heather has been leading that mission with us since day one as a member of the original team. As a seasoned veteran working with high-end retailers like Williams-Sonoma Inc., J.Crew, Blue Apron and Orchard Brands, Heather has been instrumental in the customer file growth for all our clients. Having started by building the best catalog prospecting plans in the business, Heather continues to leverage her data-driven-yet-creative approach to new customer acquisition by building integrated new customer acquisition plans across channels, including direct mail, catalogs, shared mail, package inserts, display, email, and social. In her spare time, Heather enjoys a sophisticated California wine in her garden. A 30-year veteran within the non-profit community, Jeanette leads Belardi Wong’s Fundraising Division. 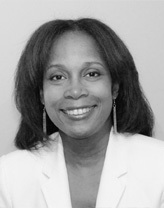 With an outstanding reputation as an industry leader and donor acquisition expert, she works with over 50 organizations. Jeanette’s creativity, passion, and collaborative approach in achieving mission-based goals translates to true thought-partnership. Jeanette was a founding member of the DMA’s Subcommittee on the Environment and Social Responsibility, and for the past 10 years has been regularly featured as a DM 101 and 201 Workshop speaker for the DMA Nonprofit Federation, the DMAW and the DMFA. Jeanette focuses on community service and volunteerism in her personal life; she is a member of the California Disaster Corps and also volunteers as an adoption counselor at a local animal shelter. 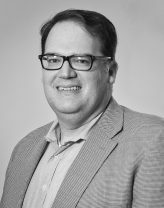 Brian joined Belardi Wong in 2015, bringing his vast 18-year corporate experience from Little Caesars Pizza, to the Corporate Services and Data Monetization divisions. His unparalleled knowledge in finance, human resources, information technology and customer service along with his infectious can-do spirit, positive attitude and team approach has made him an integral member of the leadership team. Brian manages various functions across multiple divisions; he oversees some of our largest Data Monetization clients. He has been instrumental in monetizing the maximum value of our clients' data assets and maintaining those important relationships. When he's not in the office, Brian enjoys volunteering with the Arts, traveling and spending time with his children, Zoey and Parker. After a long career on the brand side at companies like Barnes & Noble and Lillian Vernon, Anne Marie joined Belardi Wong to share her deep knowledge in business insights and direct marketing with our clients. A self-admitted data geek, she was a client before joining the team (like many of our staff) and has been with us for ten years. 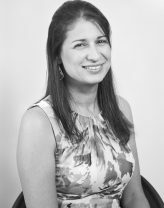 As one of our most experienced team members, she is often leading up due diligence for one of our private equity clients or heading up key strategic accounts. She enjoys being tasked with the most challenging of initiatives, referring to it as “good mental gymnastics.” In her free time, Anne Marie loves to curl up with a good book with her rescue dog, Rudy, by her side. 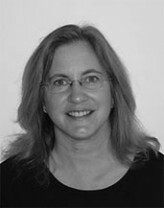 Maggie has been a leading data expert in the marketing industry for over 30 years; 17 of those years at Belardi Wong. Throughout her career, she has built and optimized custom audiences for use across channels, providing her clients with unique opportunities for prospecting into untapped vertical markets. Lifestage marketing and trigger data is her specialty. Maggie is great at leveraging her long-time industry relationships and her track-record for driving data sales and increasing client revenue. She is committed to helping clients grow their data revenue and bringing forward new and innovative opportunities to monetize data assets. As a mom of three, Maggie keeps very busy and enjoys heading out to the beach in Montauk, her favorite place.